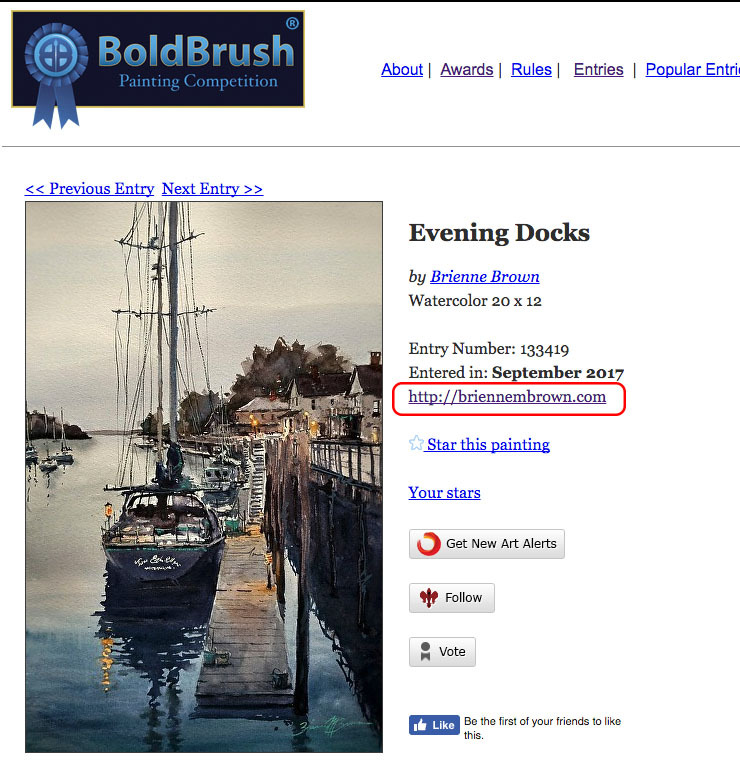 BoldBrush — How do I add my website address to my Contest entry? How do I add my website address to my Contest entry? To list your website on your contest entry, simply add your website address to your Artist Quick Facts Page. NOTE: we recommend that you fill out as much info as possible on the Edit Artist Quick Facts page. The information you add to this page plus the content on your About the Artist page will be used for your Informed Collector feature should you be selected as a contest award winner. NOTE: we recommend that you fill out as much info as possible on the Your Artist Fact Sheet page as well as add content to your Artist Bio screen. The information you enter will be automatically added to your Informed Collector feature, should you be selected as a contest award winner.